A notable fact that should be remembered when we talk about the different areas of knowledge in Muslim heritage—and which should be emphasised in these troubled days marked by the tragic situation in the Middle East—, is that until the middle of the 20th century, Palestine was an integral part of the Muslim world. The contributions of Palestinian men and women to Islamic civilisation are so numerous that it is impossible to count and describe them briefly. The following article is an outline of the life and work of the Palestinian geographer Al-Muqaddasi (10th century), an early and most original geographer. A fact that should be remembered when we talk about the different areas of knowledge in Muslim heritage —and which should be emphasised in these troubled days marked by the tragic situation in the Middle East—, is that until the middle of the 20th century, Palestine was an integral part of the Muslim world. The contributions of Palestinian men and women to Islamic civilisation are so numerous that it is impossible to count and describe them briefly. For example, one of the most notable geographers in the Muslim civilisation was Al-Muqaddasi. Al-Muqaddasi was a scholar originally from Al-Quds (Jerusalem) who travelled through the Islamic world in late 10th century and produced one of the most original works of Arabic geography. This work due to its sociological and ethnographical tone was and remains appealing to contemporary scholars. 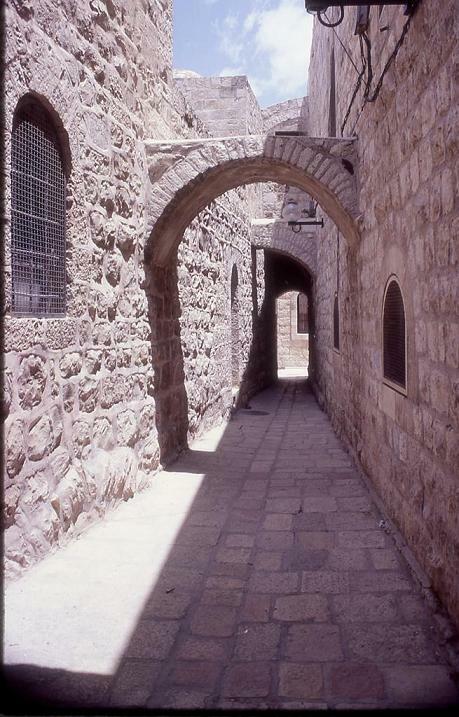 Figure 1: Al-Quds (Jerusalem): Alleyway in the Old City (Source). Another scholar from Palestine is Shihab al-Din Ahmad Ibn al-Ha'im (d. 815 H/1412 CE), a mathematician born in Cairo who spent his entire adult life in Al-Quds (Jerusalem) and was referred to as Ibn al-Ha'im al-Maqdisi. Although he was a jurist, theologian and a teacher, his fame resides in him being a mathematician alongside author of several mathematical treatises. These include Al-Nuzha fi 'l-hisab, Al-Wasila fi 'l-hisab, Al-Nuzha fi sharh murshidat al-talib, all of them being original treatises studied by historians of science today. In his scientific work, Ibn al-Ha'im took a special interest in a practical branch of mathematics that was of particular use to the Muslim society of the time, namely successoral calculations (hisab al-fara'idh). This is why he was known as Ibn al-Ha'im al-Faradhi. Palestinian women, like many Muslim women in other countries in the classical Muslim world, were not confined to household tasks. They were writers, poets and even calligraphers of the Qur'an, a most prestigious work. One of them, Zaynab bint Ahmad b. Abderrahim al-Maqdisiya, known as Bint Al-Kamal, was a devout lady versed in religion and hadith (Prophet Muhammad’s teachings) and Qu’ranic sciences. Born in 646 H/1248 CE, she died in 740 H/1339 CE. One of her legacies, besides the many occurrences of her name in history books (e.g., Abu al-Fadhl, Al-Durar al-kamina fi a'yan al-mi'a al-thamina, Haydarabad, 1972, 2nd edition, vol. 2, p. 248; Al-Zirikli, Al-A'lam, Beirut, 5th edition, 1980, vol. 8, p. 229), is a beautiful copy of the Qu’ran calligraphed by herself in 731 H/1330 CE. The Qu’ran was written with black ink, decorated with colours and illumination. Additionally, there was a leather binding with a stamp-block decoration. It is a rare manuscript example of such a work as this having a celberated female calligrapher. 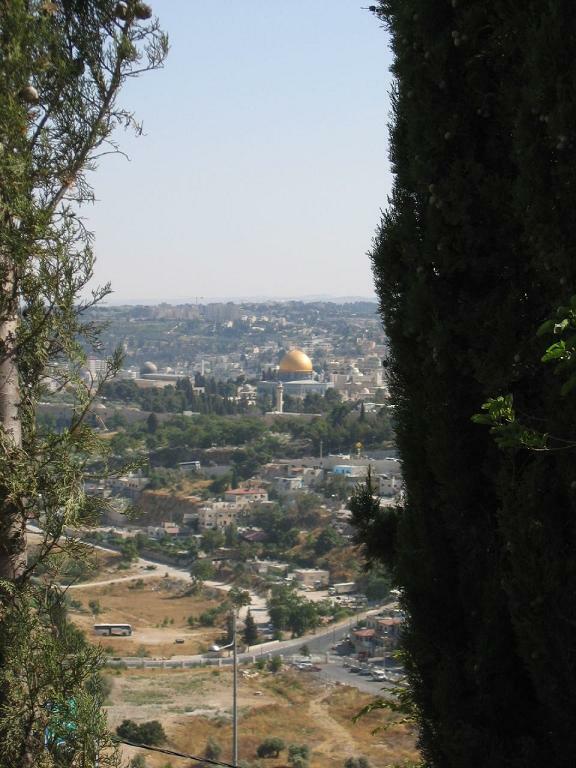 Figure 2: Al-Aqsa Mosque and the Dome of the Rock in Al-Quds (Source). The contribution of Palestinians to modern Arabic culture is so rich and varied that it is impossible to estimate. Aside from poets (here we have just to pronounce the names of Mahmud Darwish, who passed away last year, and Samih al-Qasim), novelists, film makers, painters, journalists, to scientists and many creative people in all areas of knowledge and culture. Staying in the field of Muslim heritage, two of the most eminent Arab historians of science in the 20th century were Palestinians: Hafiz Qadri Tuqan, from Nablus, whose family produced the well-known poet Fadwa Tuqan, and Ahmad Salim Sa'idan. Ahmad Salim Sai’dan is commonly referred to as one of the most prolific historians of Arabic mathematics who settled in Amman for a long period of his life, after he was expelled from his homeland in the aftermath of the nakba and occupation of Palestine. Muhammad Ibn Ahmad Shams al-Din Al-Muqaddasi, also known as Al-Maqdisi (born ca. 945-46-died ca. 1000) was a notable early Arab geographer. A traveller, geographer, and author, he is by far one of the most instructive of early Islamic social scientists. He was originally from Al-Quds (Jerusalem) in Palestine, hence his name. He is best known for his treatise entitled Ahsan at-Taqasim fi Ma'arifat Al-Aqalim (The Best Classification for the Knowledge of the Climes (or Regions)  which was completed in 375 H/985 CE. A revised edition was produced three years later . According to Al-Muqaddasi himself, his grandfather (al-Bana) was a revered architect employed by Ibn Tulun to build the Acre seaport. In his early years, Al-Muqaddasi had the advantage of an excellent education and after having made the Pilgrimage to Mecca at twenty years of age, he determined to devote himself to the study of geography. For the purpose of acquiring the necessary information, he undertook a series of journeys which lasted two decades, and setting out from Jerusalem, carried him in turn throughout the Muslim world. It was only in 985 CE that he set himself to write his book Ahsan a-Taqasim fi Ma'rifat al-Aqalim, a systematic account of all the places and regions he had visited. 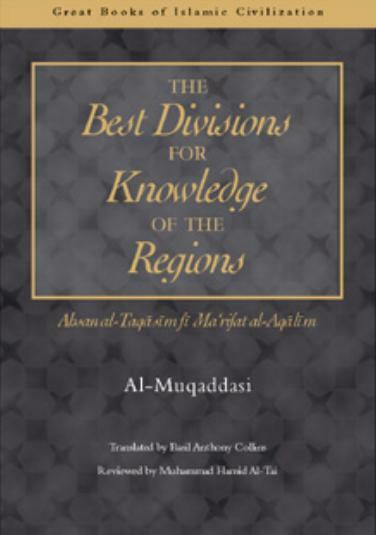 Figure 3: Front cover of The Best Divisions for the Knowledge of the Regions, the English translation of Al-Muqaddasi's Ahasan al-Taqasim Fi Ma'rifat al-Aqalim by Basil Anthony Collins (Garnet Publishing, 2000). The book is an epic geographical treatise and also a great work of literature. This treatise was based on some twenty years of personal experiences and observations noted in his survey of the realm of Islam, from the Atlantic to the Indian Ocean. Early in the second half of the nineteenth century the German orientalist Aloys Sprenger, brought to the attention of the West, a manuscript of Al-Muqaddasi's work. Sprenger's enthusiasm over the content of the manuscript is reflected in his judgment that its author is the greatest geographer of all time - this view is shared by many scholars. "His description of Palestine, and especially of Jerusalem, his native city, is one of the best parts of the work. All he wrote is the fruit of his own observation, and his descriptions of the manners and customs of the various countries, bear the stamp of a shrewd and observant mind, fortified by profound knowledge of both books and men" . A good description of this book is given by J. H. Kramers who concludes that "there is ... no subject of interest to modern geography which is not treated by Al-Muqaddasi" . From his part, André Miquel (the French specialist of Islamic studies) calls the book as one of "total geography science" . Figure 4: Front cover of the Arabic text of Ahsan at-taqasim fi ma'rifat al-aqalim by Muhamad Ibn Ahamd Al-Muqaddasi (Beirut, 2003). "One day I sat next to some builders in Shiraz; they were chiselling with poor picks and their stones were the thickness of clay. If the stone was even, they would draw a line with the pick and perhaps this would cause it to break. But if the line was straight, they would set it in place. I told them: 'if you use a wedge, you can make a hole in the stone'. And I told them of the construction in Palestine and I engaged them in matters of construction. "The master stonecutter asked me: Are you Egyptian? "I said: No, I am Palestinian. "He said: I heard that you carve stones like you would carve wood. "He said: Your stones are malleable and your craft gentle" . Technically, the most important distinction of Ahsan at-taqasim is that it was the first Arabic work of geography ever to produce maps in natural colors, which is the usual practice today. The book is based on personal observations of the populations, manners, and economic life of the various inhabitants of the lands of Islam that he visited during his 20 years of travels. In this work, Al-Muqaddasi gives an overall view of the lands he visited, and gives the approximate distances from one frontier to the other . Al-Muqaddasi divides the Islamic world in 14 "Iqlim-s" (climes or regions); then, he deals with each region separately. He divides his work in two parts, first enumerating localities and providing adequate description of each, especially the main urban centers. He then proceeds to other subjects: population, its ethnic diversity, social groups, before moving onto commerce, mineral resources, archaeological monuments, currencies, weights etc, and also to the political environment. This approach is in contrast to his predecessors, whose focus was much narrower, whilst Al-Muqaddasi wanted to encompass aspects of interest to merchants, travelers, and people of culture . Thus, it becomes no longer the sort of traditional `geography', but a work that seeks to understand and explain the foundations and the functioning of Islamic society. Out of this, excellent information, regarding many subjects can be gleaned, such as water management, fiscal issues and finance, weights and measures, and city and urban developments . Figure 6: World map by Ibn Hawqal, commentated by Shiva Balaghi (see: "The World according to the Andalusians: Cultural Flow and Geography": Source). The Ahsan at-Taqasim is marked by a narrative style organised like a modern ethnographic essay. In this sense, the book is a real social, urban and geographical account of the realm of Islam in late 10th century. During his travels, the author noted his observations on the region's topography, climate, hydrology, vegetation, development, architecture, language, religion and culture. This work speaks of an interested and interesting man, seeing his world through a frame of reference derived from his deeply held religious belief, striving scrupulously to get at the truth of the matter as a true scientist. Following a tight methodology of observation, he brought to geography actual ethnographic experiences of having been to at least most of the places he describes. In this way he is attempting to be far more scientific and systematic in his approach, hence the kinds of typologies that he offers. It is this penchant for classification that makes him such a favourite source for historians of economic history, archaeologists and other contemporary scholars in the field of Islamic studies. In Ahsan at-Taqasim, Al-Muqaddasi shows himself to be a hardy, intelligent, versatile, resourceful and well-informed man. He designed his book to appeal to a variety of interests, and even to entertain. Yet, quite strikingly, his perspective on aspects of the geographical method touches on concerns which have received greater attention only in more recent times. For example, his ranking of settlements according to their functions is quite prescient, his use of maps in accord with modern practice, and his excursion into determinism based on toponymy is, to say the least, unusual. Figure 7a-b: Views of the oldest Islamic epigraphy in the world located in Al-Masjid al-'Umari in Nuba, near Al-Khalil, in Palestine. The mosque was built on the remains of the old mosque which is said to have been built by Caliph 'Umar Ibn Al-Khatab after that the Muslims conquered Palestine in 636 H (Source). Figure 5: Two pages from a copy of the Holy Qur'an written by the female Palestinian calligrapher Zaynab b. Kamal al-Din al-Maqdisiya in 731 H/1330 CE. This piece is displayed in the Museum of Islamic Art in Cairo (Source). "You should know that a number of scholars and ministers of state have written about this subject, and then rather confusedly; in fact, most of them ––let me say all of them–– have relied on hearsay. But for our part, no region remains that we did not enter, and even the slightest matters we have brought within the purview of our knowledge. At the same time, we have not omitted research, or making enquiries, or speculating. Our book, then, comprises three elements: firstly, what we ourselves have experienced; secondly, what we have heard from reliable persons; and, thirdly, what we have found in books devoted to this subject or to others. There is no king's library that I did not assiduously examine, no sect but I studied its writings, no juridical schools but I became acquainted with them, no ascetics but I associated with them, no preachers in any country but I attended their assemblies. In this way I found a correct knowledge of what I was seeking in this subject. "I have been given thirty-six names by which I have been called and spoken to: Muqaddasi [Jerusalemite], Filastini [Palestinian], Misri [Egyptian], Maghribi [North African], Khurasani [Khorasanian], Salami [Salamian], Muqri' [teacher in reading the Quran], Faqih [jurist], Sufi [mystic], Wali [saint], Abid [devout man], Zahid [ascetic], Sayya [pilgrim], Warraq [copyist], Mujallid [bookbinder], Tajir [merchant], Mudhakkir [[discourser], Imam [leader in prayer], Mu'addin [summoner to prayer], Khatib [preacher], Gharib [foreigner], Iraqi, Baghdadi, Shami [Syrian], Hanifi [follower of the jurist Abu Hanifa], Muta'addib [scholar], Kari [lodger at charitable foundation], Mutafaqqih [jurist], Muta'allim [savant], Fara'idhi [notary], Ustadh [master], Danishumand [sage], Sheikh, Nishastah [learned one], Rakib [courier], Rasul [messenger]. All these names were given to me through the number of countries in which I resided, and the many places I visited. There is nothing that befalls travellers of which I did not have my share, barring begging and grievous sin. "I studied law and letters, practiced asceticism and piety, taught theology and letters, preached on the pulpits, called to prayer on the minarets, led the prayers in the mosques, preached in the congregational mosques, frequented the schools. I said the prayers in convocation, spoke in the councils. I have eaten their "harisa" [porridge] with the mystics; supped "tharid" [broth] with the monks, and " `asida" [pudding] with the sailors. I have been ejected from mosques at night, have travelled in the solitudes, gone astray in the deserts. At times I have been scrupulously pious; at times I have openly eaten forbidden food. I have become acquainted with the devout men on the mountain of Lubnan [Mount Lebanon], and also been on intimate terms with governors. I have owned slaves, but have had to carry baskets on my own head. "A number of times I was close to drowning; our caravans were waylaid on the highway. I have served the judges and the great ones, have spoken with rulers and ministers. I have accompanied the licentious on the way, sold goods in the markets, been confined in jail, been accused a spy. I have witnessed war with the Romaeans in battleships, and the ringing of church bells at night. I have been a bookbinder to earn money, have bought water at a high price. I have ridden in sedans and on horseback, have walked in the sandstorms and snows. I have been in the courtyards of the kings, standing among the nobles; I have lived among the ignorant in the workshops of weavers. What glory and honour I have been given! Yet my death has been plotted more than once. I have performed the Pilgrimage, and visited Medina; have been on forays, and in frontier posts. I have drunk "sawiq" [a potage of grains] from the public fountains in Mecca, eaten bread and chickpeas in a monastery. Figure 8: European historical maps of Palestine, from the 18th century (Source). "I have depended on the hospice of Abraham, the Friend of God, and on the free sycamore figs at Ascalon. I have worn the robes of honour of the kings, and they have ordered gifts to be given to me. Many times I have been naked and destitute. Yet rulers have corresponded with me. Nobles have reproved me, yet I have been asked to take charge of religious endowments. I have had to submit to blackguards; heresy had been imputed to me; I have been accused of greed; princes and judges have placed me in their confidence. I have been entered in wills, made an administrator; have had good experience of pickpockets, and seen the artifices of scoundrels. Contemptible people have hounded me, and the envious have opposed me; I have been slandered to the authorities. I have entered the baths of Tabaraiyya [Tiberias], and the fortress of Fars [South Iran]; I have witnessed the festival of al-Fawwara [the fountain], the Feast of Saint Barbara, he Well of Budha'a, the castle of Ya'cub [Jacob], and his villages. "Experiences of this kind are many, but I have mentioned such a number of them that the reader of our book may know that we did not compile it haphazardly, nor arrange it in any random fashion. The reader will thus be able to distinguish between it and the others; for, after all, what a difference there is between one who has undergone all these experiences, and one who has compiled his book in perfect ease, basing it on the reports of others. "In my travels I spent more than ten thousand dirhams; I have, moreover, been lax in matters of the "shrari'a" [sacred law]. For there was no license of any juridical school, but I took advantage of it; doing, for washing the feet, a simple rubbing; getting by with praying using the one word "mudhammatani" [the dark-green gardens; the pious Muslim includes at least one verse of the Quran in his prayers, and Sura LV v.64 consists of this one word]; I have departed [from Mina, at Mecca] before sunset; have said the prescribed prayers on the back of an animal, having detestable filth on my clothes. I omitted the "tasbih" [prayer of glorification] in my "ruku' " [bowings] and "sujud" [prostrations], and made the prostration of negligence before the prayer of salutation. I have grouped prayers together, and curtailed pious journeys freely undertaken for God's sake. Just the same, I did not depart from the prescriptions of the leading jurists, nor did I ever, at any time, defer saying my prayers. "In fine, I have never travelled the highroad when there was a distance of ten farsakhs or less between me and a town but that I quit the caravan and made my way to the city, that I might see it before the others. Sometimes I employed some men to accompany me, making my journey at night, so that I could return to my companions –at a great cost of money and labour". Al-Muqaddasi, Descriptio imperii moslemici. Edited by M. J. Goeje. Leyden: Brill, 1877. Reprint Brill, 1967. Reprint, Frankfurt: Institute for the History of Arabic-Islamic Science, 1992. 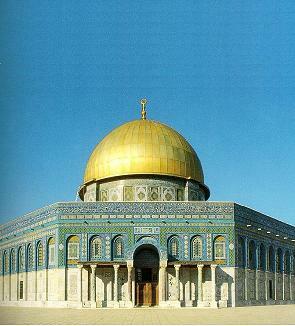 Al-Muqaddasi, Palestine under the Moslems. A description of Syria and the Holy Land, from A.D. 650 to 1500. Translated from the works of The Mediaeval Arab Geographers by Guy Le Strange. Published for the Committee of the Palestine Exploration Fund. London: Alexander P. Watt, 1890. Al-Muqaddasi, Description de l'Occident musulman au IVe=Xe Siècle by Al-Muqaddasi (Chams Ad-Din Abu Abd Allah). Alger, Carbonel, 1950. Texte arabe et traduction française en regard avec une introduction, des notes et 4 index par Charles Pellat. Al-Muqaddasi, Ahsan at-Taqasim Fi Ma'Rifat Al-Aqalim (La Meilleure Répartition Pour La Connaissance Des Provinces). Damas: Institut Français de Damas, 1963. Al-Muqaddasi, Ahsanu-t-taqasim fi ma'rifat al-aqalim. Frankfurt: Institute for the History of Arabic-Islamic Science, 1989. Al-Muqaddasi, The Best Divisions for the Knowledge of the Regions. Ahsan al-Taqasim Fi Ma'rifat al-Aqalim. Translated into English by Basil Anthony Collins. (Great Books of Islamic Civilization). Garnet Publishing, Reading, 1994. Paperback 2000. Collins, Basil Anthony, Al-Muqaddasi: The Man and his Work. With selected passages translated from the Arabic. Ann Arbor: Dept. of Geography, University of Michigan, 1974. FSTC: Al-Muqaddasi: An Encyclopaedic Scholar. Miquel, André, "Les Portes D'Alep chez Al-Muqaddasi". Arabica (Brill), vol. 7, N° 1, 1960, pp. 60-71. Zakariyeh, Mohammed: Maqdisi: An 11th Century Palestinian Consciousness, Double Issue 22 & 23, 2005, Jerusalem Quarterly (Journal dedicated to the history and life of the city of Jerusalem (formerly the Jerusalem Quarterly File), published by the Institute of Jerusalem Studies (IJS), an affiliate of the Institute for Palestine Studies), pp. 86-92. 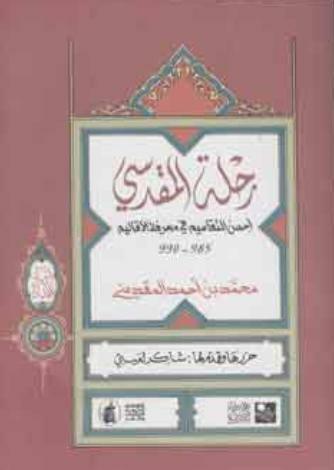 Arabic version: Al-Jughrafi al-Maqdisi wa-nass al-hawiya al-filistiniya, Hawliyat al-Quds, n° 3, Spring 2005. Al-Monaes, Waleed, "Muslim contributions to geography until the end of the 12th century AD". GeoJournal (Springer Netherlands), vol. 25, N° 4, December, 1991, DOI 10.1007/BF02439491, pp. 393-400. Castelló Moxó, F., Vernet, J., Estudios sobre un tratado de geografía árabe : [el Dikr al-aqalim wa ijtilafuha de Ishaq ibn al-Hasan ibn Abi-l-Husayn al- Zayyat. Barcelona: Edicions Universitat de Barcelona, 1981. FSTC: Islamic Geography in the Middle Ages. FSTC: A Review of Muslim Geography. FSTC : An Introduction to Islamic Social Sciences. Kramers, J. H., "Geography and Commerce". In The Legacy of Islam, edited by T. Arnold and A. Guillaume. Oxford: Oxford University Press, 1931, pp. 79-197. Maqbul, Ahmad S., History of Arab-Islamic Geography. Amman: Publications of Ahl al-Bayt University, 1995. Maqbul Ahmad S. and Taeschner, Fr., "Djughrafiya". In Encyclopaedia of Islam, 2nd edition, vol. 2 (Leiden: E. J. Brill/London: Luzac, 1965), pp. 575-590. Netton, Ian (editor), Islamic and Middle Eastern Travellers and Geographers. (Critical Concepts in Islamic Thought). Hardback. London/New York: Routledge, 3 vols (1520 pp. ), 2007. Sezgin, F. (1992). Islamic Geography. Frankfurt am Main, Institute for the History of Arabic-Islamic Science. Sezgin, Fuat, Geschichte des Arabischen Schriftums. 12 vols. Leiden: Brill, 1967-2000. Vol. 10-12 (2000): Mathematical geography, geography, and cartography. [Wikipedia], Al-Muqaddai, From Wikipedia, the free encyclopedia. Zayyat, Ishaq ibn al-Hassan, and Castelló, F., El Dikr al-aqalim: tratado de geografía universal. Barcelona: Consejo Superior de Investigaciones Científicas, Instituto Millás Vallicrosa de Historia de la Ciencia Árabe de la Universidad de Barcelona; Departamento de Filología Semítica, Universidad de Barcelona, 1989. Al-Muqaddasi, Ahsan al taqasim fi ma'rifat al-aqalim, Arabic text, edited and commented upon by Ghazi Tlimat, Damascus, 1980. Another Arabic edition was published recently by Chakir Lai'bi, Beirut, Al-Mu'assasa al-'arabiya li-'l-dirasat wa-'l-nashr, 2003. The Arabic text was edited before in the famous "Bibliotheca goegraphicum arabicum": Al-Muqaddasi, Shams Al-Din Mohammad Ibn Ahmad, Kitab Ahsan al-taqasim fi ma'rifat al-aqalim, edited by M. J. de Goeje, pars tertia, Leiden, 1877; 2nd edition 1906. A partial French translation was performed by André Miquel (Damascus: Institut Français de Damas, 1963). See also the recent English translation in the series "Great Books of Islamic Civilization": The Best Divisions for the Knowledge of the Regions: Translation of Ahsan Al-Taqasim Fi Ma'Rifat Al-Aqalim, Translated by Basil Anthony Collins, Garnet Publishing Ltd, 1994, Paperback edition, 2000. This revised version exists in two manuscript copies (preserved at Berlin and Istanbul) and have the form of a later recension (dated 378 H). The book became known in Europe through the copy brought from India by Sprenger, and was edited by Professor M. J. de Goeje as the third part of his Bibliotheca Geographorum Arabicorum (Leiden, 1877). See also the English translation (unfinished) by G. S. A. Ranking and R. F. Azoo, in Bibliotheca Indica, New Series, Nos. 8-99, 95-2, (Bengal Asiatic Society, 1897-1901); Mukaddasi's Syrian chapter has been separately translated and edited in English by Guy le Strange (London, Palestine Pilgrims Text Society, 1886); in German by J.Gildemeister in Zeitschrift des deutschen Palestina-Vereins, vol. vii. (1884). Guy le Strange, Palestine Under The Muslims, London, 1890, pp. 5-6. J. H. Kramers, Analecta Orientalia, Leiden, 1956, vol. 1, 182-183. Al-Muqaddasi, Ahsan at-taqasim fi ma‘rifat al-aalim. La meilleure répartition pour la connaissances des provinces. Traduction partielle annotée par André Miquel. Damas: Institut Français de Damas, 1963, p. xxiv. Rihlat al-Maqdisi: Ahsan at-taqasim fi ma'rifat al-aqalim (Beirut, 2003), op. cit., p. 362. See also Zakariyeh Mohammed: Maqdisi: An 11th Century Palestinian Consciousness, Double Issue 22 & 23, 2005, Jerusalem Quarterly, pp. 86-92. Arabic version: Hawliyt al quds, n° 3, Spring 2005: Al-Jughrafi al-Maqdisi wa-nass al-hawiya al-filistiniya. A good summary of it is given in J. H. Kramers, Analecta Oriantalia, vol. 1, pp. 182-183; extracts of the book can be found in D. M. Dunlop, Arab Civilisation to AD1500, Longman, 1971, pp. 116-117. S. M. Ahmad, "Al-Maqdisi", in Dictionary of Scientific Biography, edited by Charles C. Gillipsie, New York, 1970-1980, vol. 9, p. 88. See extracts on these subjects in FSTC, Al-Muqaddasi: An Encyclopaedic Scholar. From: A Source Book in Geography, edited by George Kish (Source Books in the History of the Sciences). Cambridge, Mass. : Harvard University Press, 1978, pp. 200-202.